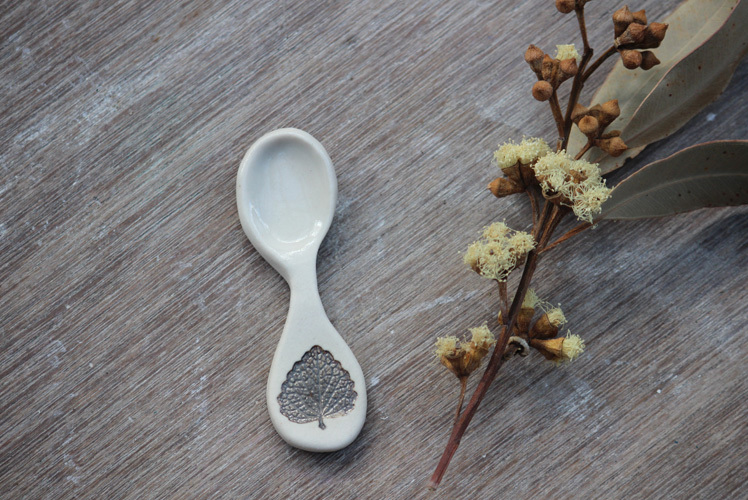 FK chats to Elke of beautiful Noosa based ceramics label, Elke Lucas Ceramics. Enjoy these tactile pieces in person at our Brisbane AW14 markets! 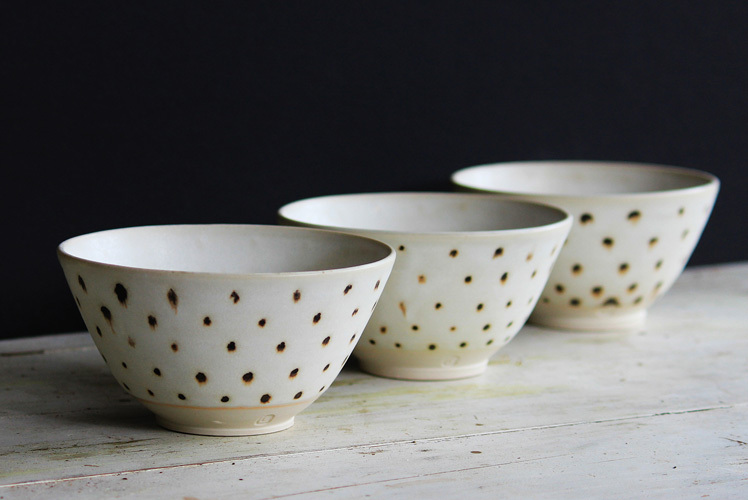 Tell us a bit about Elke Lucas Ceramics and what products we can expect to discover? As a potter I want to create ceramics that people love to use everyday, lovely pieces that you can have out and are not afraid to use and enjoy. 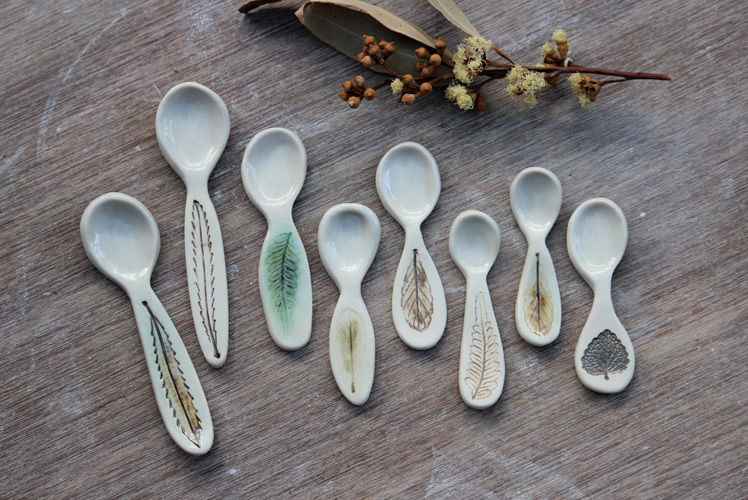 So that’s what I’m really aiming for – beautiful pots that people love to use. I’m really excited about the new ranges for the Brisbane AW14 Finders Keepers Market this year. There’s the blingtastic new Kônig Gold range featuring raised dimples of clay decorated with real gold and the skull beakers in Southern Ice clay – not to mention the new spoons. What is your background and how did you get started working with ceramics? I grew up in a little village deep in the Black Forest in Southern Germany, I had an idyllic childhood in many ways, but I always had this wanderlust – life in Germany can be very regimented and although I loved my family and friends there, I needed to escape and see the world. I worked in The States for a while and studied in England but my life as a potter started by accident really. I was travelling up the west coast of Ireland in an old converted red fire engine with some friends when I met a surfer who was on the same journey. After many adventures together we eventually took over at his family pottery on the Cornish coast. He came from a family of eccentric artists and potters and I thought, ‘well if you can’t beat them join them’ so I started making pots. We used the local earthenware clay from that area and to my surprise found I loved working with clay and the endless possibilities it presented. 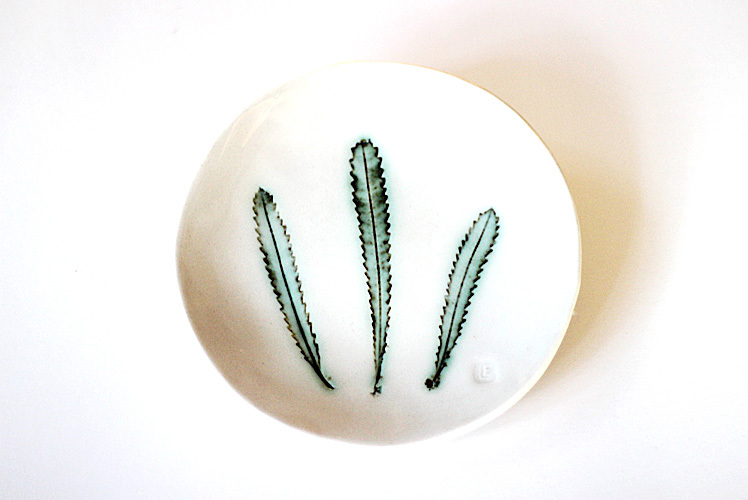 I always had a secret longing to work with porcelain though, because I loved its delicate translucent quality. Since setting up my studio in Noosa on the Sunshine Coast I’ve been able to fulfill that desire as I’m now working with these fantastic Australian porcelains and just loving working with clay again. There are so many fantastic ceramicist artists out there – I love seeing ceramics having a revival again and the endless creative people who love working with the medium. My major ceramics crush and endless source of inspiration is for the late Dame Lucie Rie – an Austrian born potter who moved to England in the 30’s and soon became one of the most iconic potters ever known in Europe. What is your workspace like and what is your creative process? One of the joys of working in on the Sunshine Coast is that I can do a lot of the throwing and making outside in a covered area. I would love to be able to say my workspace was a calm Zen like space but at times it feels quite chaotic, with pots all drying at once and demanding immediate attention. In terms of inspiration I think I draw it most from the beauty of the environment around me, the leaves and grasses I use for my botanic range or a washed up shell on the beach that has been scoured by the effects of wind and waves that led to my matt glaze being developed. As I think about inspiration more though I realise that it can come from anywhere: everyday experiences, meeting people, chatting and being exposed to all sorts of environments – every encounter has the possibility of sparking an idea that can develop into a new shape, new glazes, new ranges. What do you love about working with porcelain and what are some of the challenges? 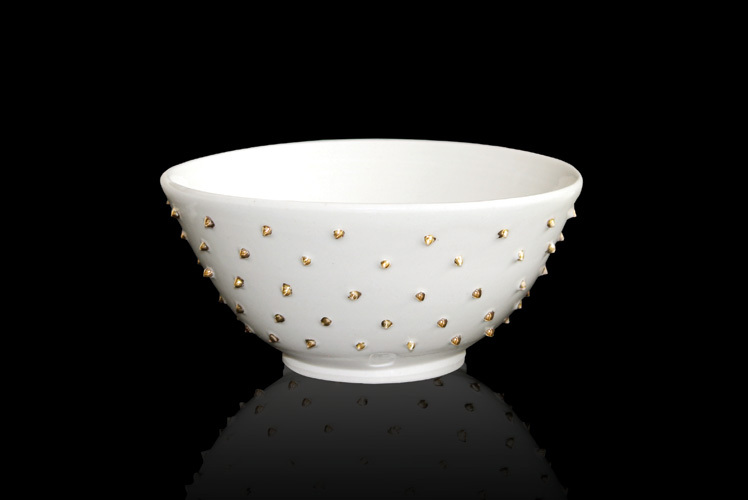 I love the delicate sophistication of porcelain; it’s lightness and translucent qualities. It can be a difficult clay to work with but when you get it right the rewards are fantastic. The work itself is challenging as there are so many factors that can affect the end result from the consistency of the clay to the weather conditions for drying to the glaze variations and the firing techniques – pottery has endless options and endless challenges but that’s what makes it such an interesting craft to be involved in. 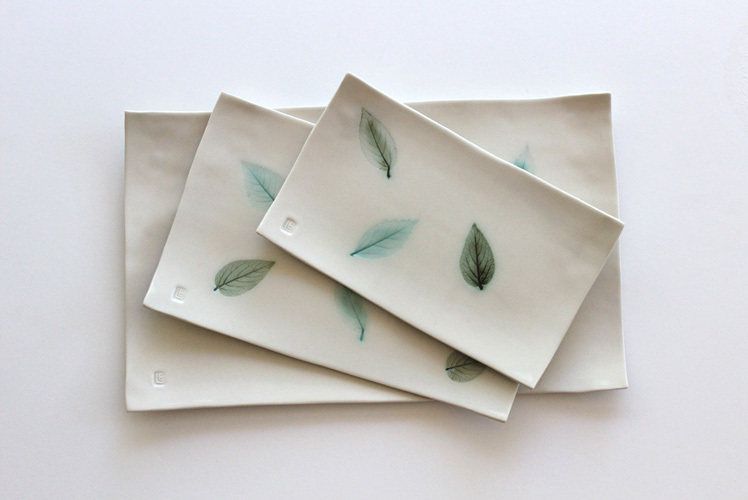 What new projects are you working on and where would you like to see Elke Lucas Ceramics in the future? There are always new projects brewing – at the moment I’ve got ideas of developing different coloured glazes as well as new decorating ideas. My ceramics are always developing, moving and expanding – only restriction is time! The future of Elke Lucas Ceramics is an unknown but I’ll continue to do what I love and create ceramics and I believe the future will shape itself from there. 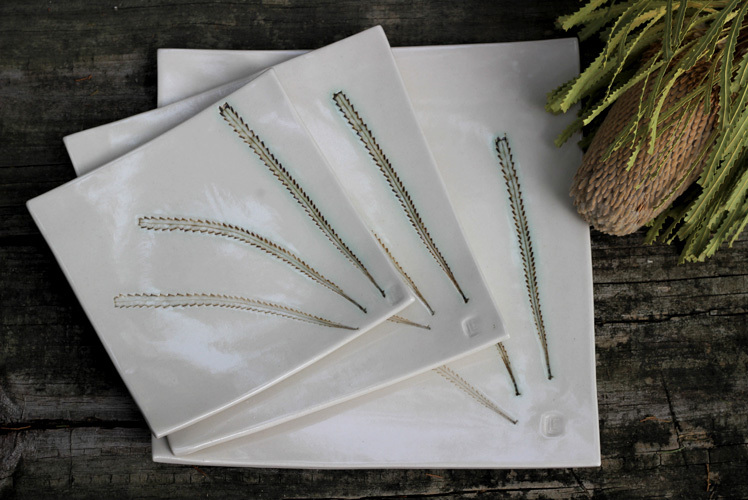 Elke’s work reflects is beautiful and delicate and truly reflects her coastal environment. I love my pieces and can add to my collection as she creates new ones.